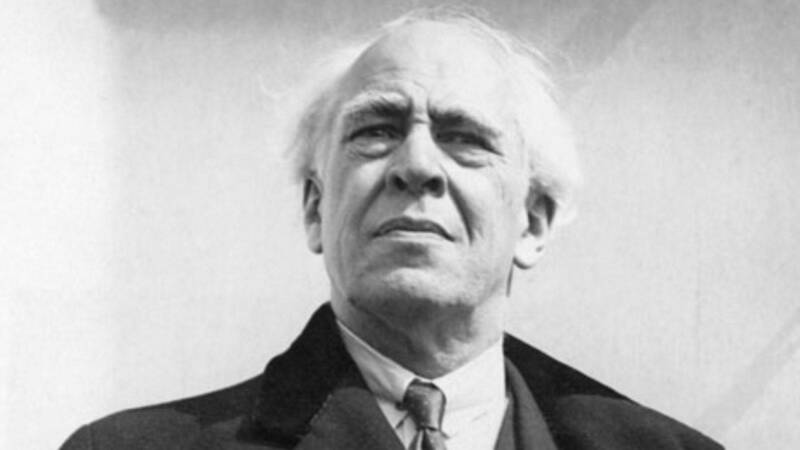 Konstantin Stanislavski is a well-known Russian theatre practitioner and the author of one of the most famous actor training systems in the world. 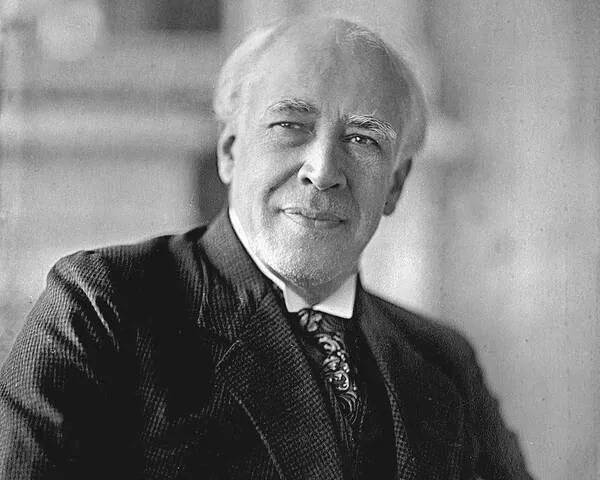 Stanislavski was born in Moscow on 17 January 1863. 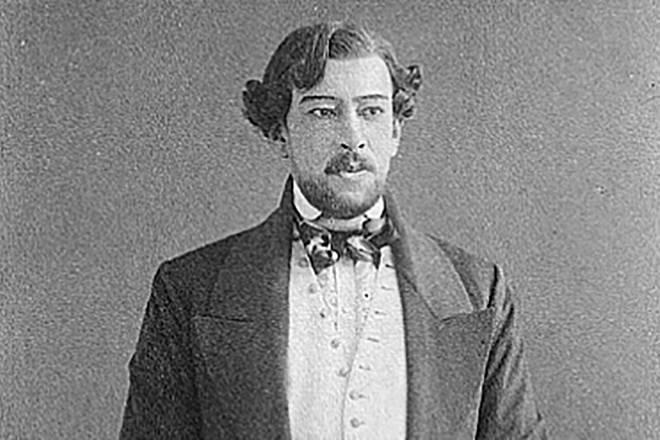 Young Konstantin Alexeiev made his debut as an actor in an amateur production of Gogol’s Marriage in A. A. Karzinkin’s House on Pokrovski Boulevard. 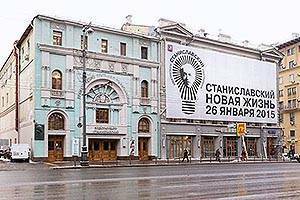 In 1898, Stanislavski and Nemirovich-Danchenko founded one of Moscow’s best drama theatres, now Chekhov Moscow Art Theatre. 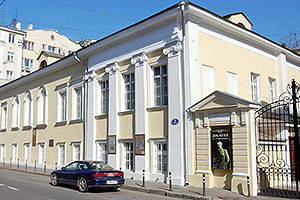 Stanislavski’s House is situated at 6, Leontyevski Lane. It is here that Stanislavski spent the last 17 years of his life together with his family. In 1919, Stanislavski contributed to the foundation of the Bolshoi Theatre’s Opera Studio, later named after him. One of the best-known methods of training actors can be attributed to Konstantin Stanislavski (1863-1938). The renowned stage director and theatre reformer first described his system in his book, An Actor Prepares, a text which represented a breakthrough in staging methodology. His famous verdict, I don’t believe, has long been associated with Russian theatre. Many places throughout Russia are associated with Konstantin Stanislavski, but Moscow was, without a doubt, the city he most cherished. 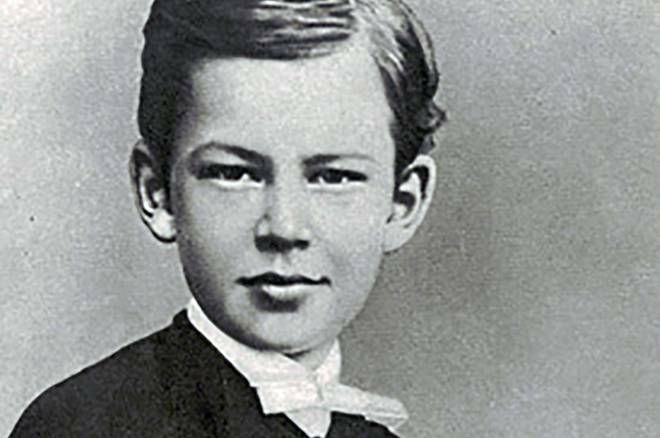 The future theatre genius was born in the Russian capital on 17 January 1863. 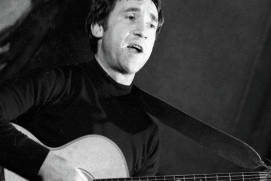 He was born into the family of industrialist and factory owner Sergei Vladimirovich Alekseiev and was one of his ten children. 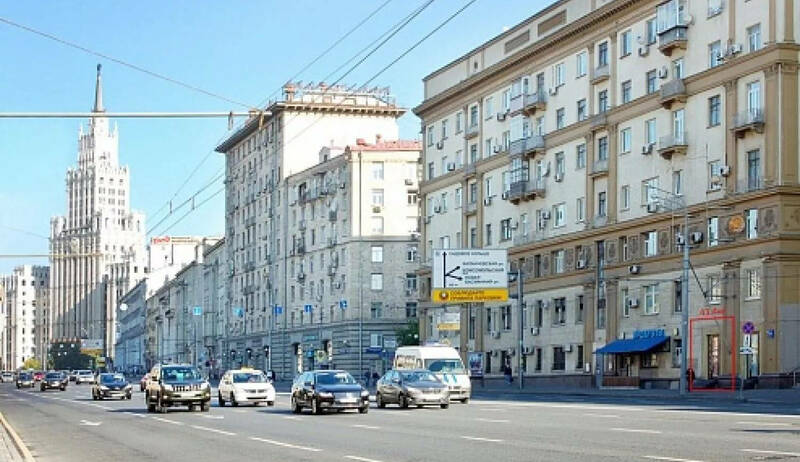 The street on which the mansion of the merchant family of Alekseiev was situated was called Bolshaya Alekseievskaya StreetRussian: Bolshaya Alekseevskaya ulitsa or Большая Алексеевская улица, renamed to Malaya Kommunisticheskaya StreetRussian: Malaya Kommunisticheskaya ulitsa or Малая Коммунистическая улица after the Russian Revolution of 1917, and the former mansion became known as Building No. 29. 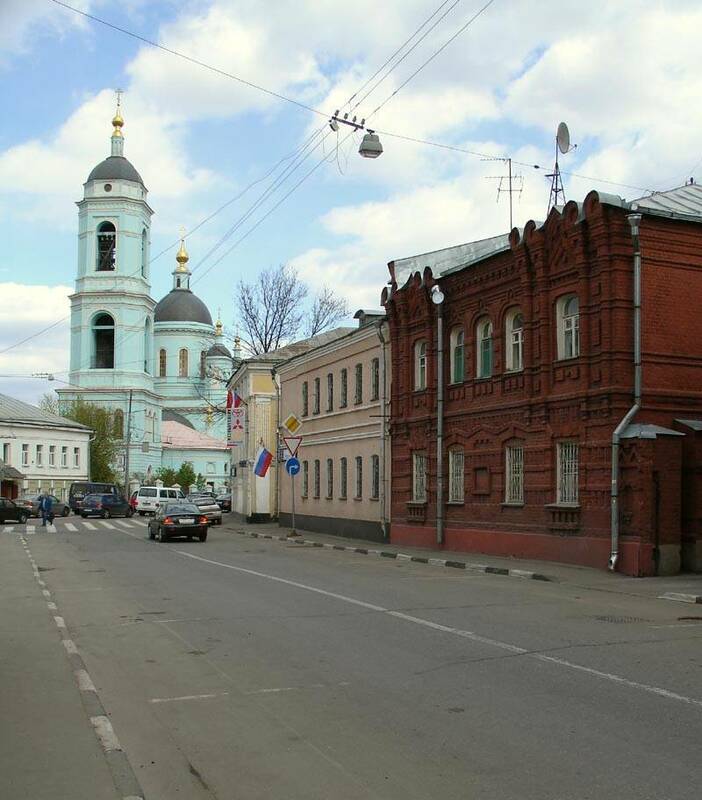 Today, this is called Stanislavskogo StreetRussian: ulitsa Stanislavskogo or улица Станиславского. 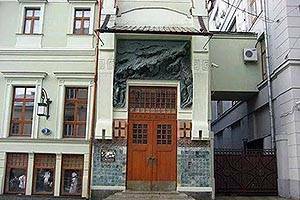 In 1881, Konstantin Stanislavski graduated from the Lazarevsky InstituteRussian: Lazarevskiy institut or Лазаревский институт founded in the 18th century by the Armenian merchant family of Lazaryan, which aimed to provide education to children from low-income families and subsequently transformed into the Institute of Oriental LanguageRussian: institut vostochnyih yazykov or институт восточных языков in 1817. 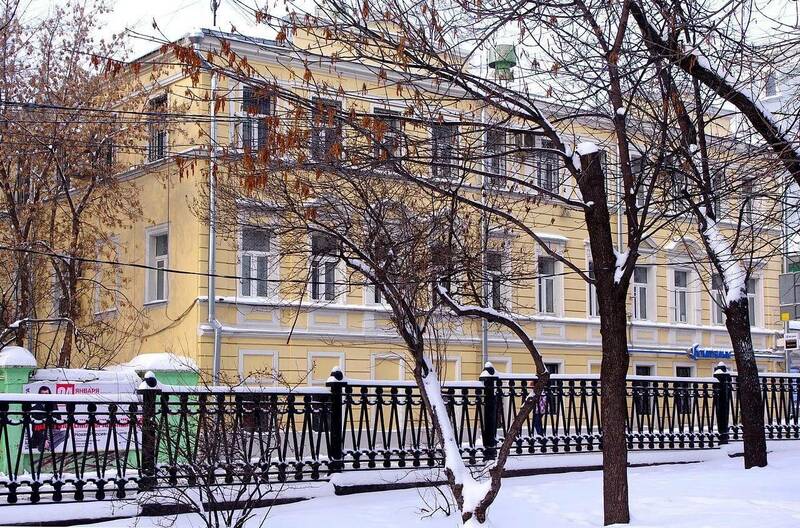 Today, this building located at 2, Armyansky LaneRussian: Armyanskiy pereulok or Армянский переулок houses the Embassy of Armenia. 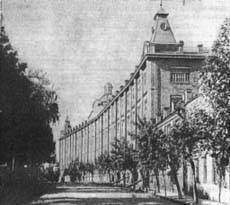 The Alekseiev’s family seat and the nearby family-owned goldskan factory (now the premises of the Elektropribor PlantRussian: zavod «Elektropribor» or завод «Электроприбор»), where 19-year-old Konstantin Alekseiev started his career, have changed a lot since that time; so too, have the surroundings. 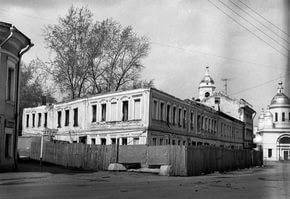 These changes, however, occurred after the family had already moved to the Red GatesRussian: Krasnye vorota or Красные ворота area, where Stanislavski’s parents had bought a new house at 8, Sadovaya-Chernogryazskaya StreetRussian: ulitsa Sadovaya-Chernogryazskaya or улица Садовая-Черногрязская. Stanislavski lived here until 1903, however the building no longer exists. Although working in (rather profitable) family business did not particularly excite Stanislavski, he achieved considerable success there, and was known as a talented specialist. He developed an effective plan for factory reconstruction and improved the quality of the goldskan thread by inventing a special draw diamond-charged device which was able to produce exceptionally fine thread. However, the love of Stanislavski’s life was the theatre, and everyone in his family was actively involved in it. The Alekseievs were always looking forward to each new theatre season and would often go to the theatre as a family, together with their numerous relatives, friends, their children and neighbours. These trips were incredibly exciting and filled everyone with joy. 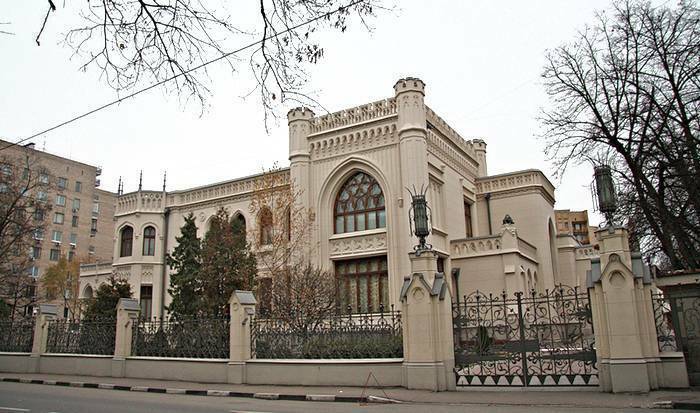 The family even had a special theatre hall in their mansion, and members of the Alekseiev’s GroupRussian: Alekseevskiy kruzhok or Алексеевский кружок, sponsored by the master of the house, would often stage amateur productions there. The Alekseiev’s Group was active from 1877 to 1888, with Konstantin Alekseiev as the most active member of these amateur theatrical productions. Later, he adopted the pseudonym of Stanislavski in honour of one of the amateur actors whom he admired. 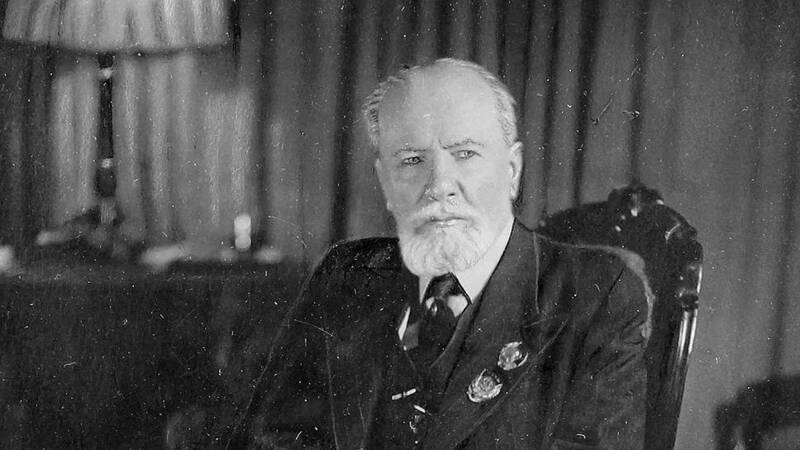 Fond of foreign vaudevilles and operettas translated into Russian as well as of Russian shows, in which he participated not only as an actor but also as a director, Stanislavski at last decided to make his pastime into his career. Stanislavski’s parents always encouraged their children to grasp any opportunity to develop their acting skills, and young Konstantin was lucky enough to be able to take acting lessons from the best actors of the time, to get the physical and vocal training required, as well as to try out different roles. In 1884, he made his debut before a large audience in an amateur production of Gogolone of the preeminent figures of the natural school of Russian literary realism’s MarriageRussian: Zhenit'ba or Женитьба in the role of Podkolesin in the A. A. Karzinkin’s MansionRussian: Dom A. A. Karzinkina or Дом А. А. Карзинкина located at 18, Pokrovsky BoulevardRussian: Pokrovskiy bulvar or Покровский бульвар. This performance was Stanislavski’s first collaboration with professional theatre employee M. Reshimov, who staged the play. Along with the heritage of world-famous people and great museums, there are many attractions in Moscow, which are not so popular, but still very remarkable. Beautiful temples in the Orthodox style, the unusual architecture of the Russian Middle Ages or the recent Soviet era, ballet and drama theaters – on our website you can learn more about landmark Moscow. In 1888, Stanislavski was elected member of the management board and treasurer of the Russian Musical SocietyRussian: Russkoe muzyikalnoe obschestvo or Русское музыкальное общество, where he planned the project of the Moscow Art and Literature SocietyRussian: Moskovskoe Obschestvo Iskusstva i Literatury or Московское Общество Искусства и Литературы, assisted by like-minded colleagues. This is how his career as a stage director began. Invited by Vladimir I. Nemirovich-Danchenkoa Russian and Soviet theatre director, writer, pedagogue, playwright, producer and theatre administrator to join the Moscow Art TheatreRussian: Moskovskiy hudozhestvennyi teatr or Московский художественный театр, director Stanislavski readily embarked on a challenging but ultimately fulfilling path in the theatrical arts. In 1898, the two theatre reformers founded one of the best theatres in Moscow now known as MATRussian: MHAT or МХАТ, or Moscow Art Theatre. The Museum of the Moscow Art TheatreRussian: Muzey MHAT or Музей МХАТ located at 3a, Kamergersky LaneRussian: Kamergerskiy pereulok or Камергерский переулок displays, among many other exhibits, Stanislavski’s make-up room featuring reconstructed interiors as they would have been at the time, along with his personal effects and photographs. 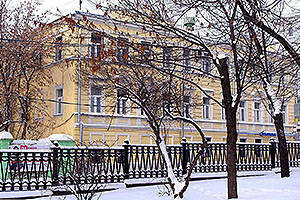 Located at 6, Leontyevsky LaneRussian: Leontevskiy pereulok or Леонтьевский переулок, Stanislavski’s Memorial HouseRussian: Dom-muzey Stanislavskogo or Дом-музей Станиславского is the subdivision of the Museum of the Moscow Art Theatre. It is here that Stanislavsky spent the last seventeen years of his life together with his family. The 19th-century two-storey building features a suite of rooms with traces of old tempera ceiling paintings. Stanislavski’s study, with its original custom-made furniture, is located on the second floor. 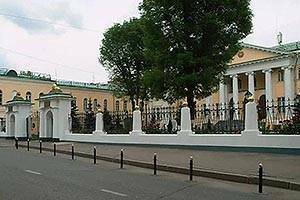 Next to it is the theatrical Onegin HallRussian: Oneginskiy zal or Онегинский зал , with a stage and white columns, where actors of the Moscow Art Academic Theatre rehearsed plays. Stanislavski, who suffered from health problems in his later years, brought the rehearsals to his home. His last opera and drama studio served as a kind of experimental laboratory where Stanislavsky tried out the rehearsal systems he developed. 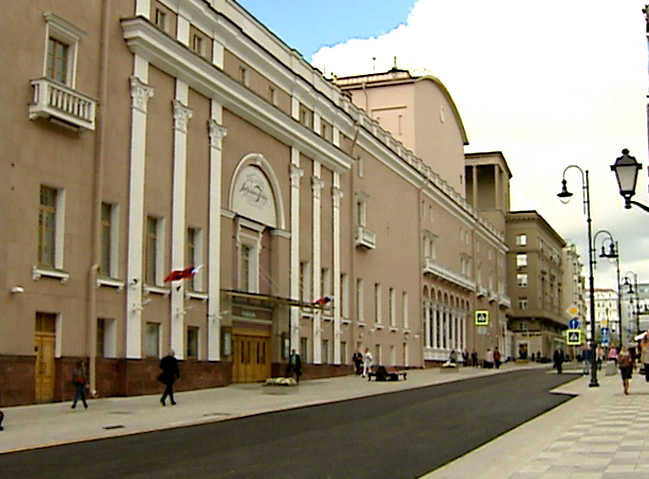 This space was transformed into the Opera and Drama TheatreRussian: Operno-dramaticheskiy teatr or Оперно-драматический театр a few years later. 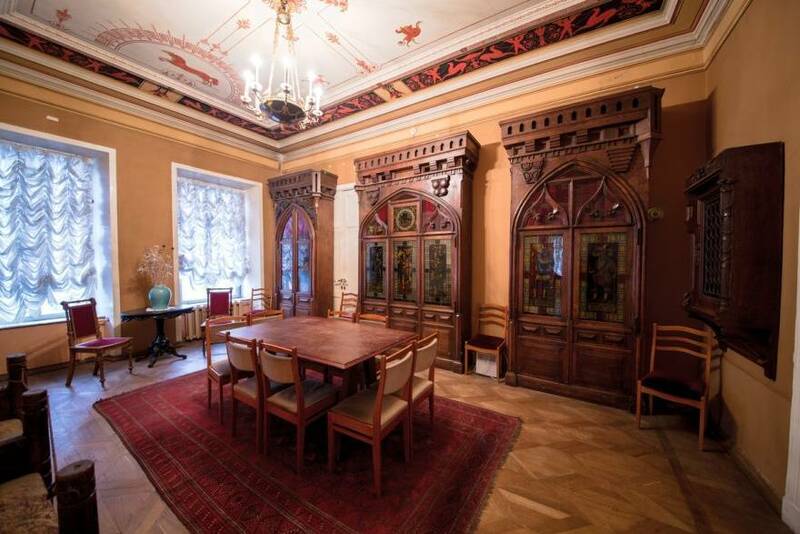 The rooms where Stanislavski and his wife, MAT actress Maria Petrovna Lilina, lived are located on the upper floor, along with the dining room. 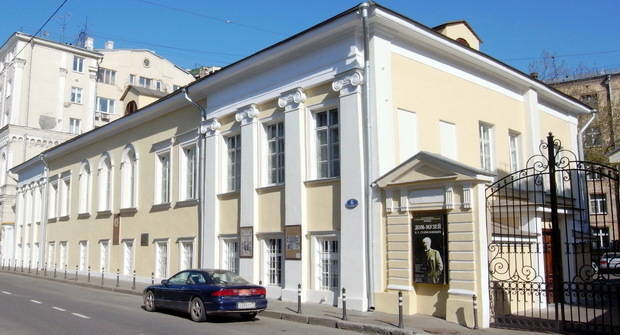 The first floor houses exhibitions devoted to Stanislavski’s staging work, his personal effects and collections, photographs and books. The family library, called the Blue LoungeRussian: Sinee foye or Синее фойе, is located there, too. 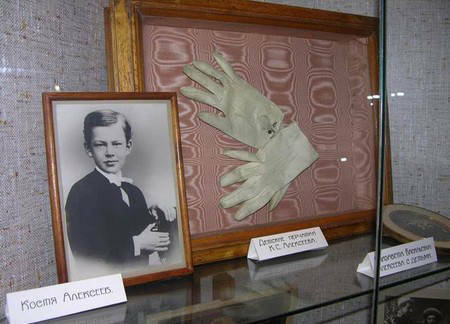 Most of the exhibits in Stanislavski’s Memorial House are authentic, and it is Kira Alekseieva-Falk, Stanislavski’s daughter, who preserved them and put a lot of effort into creating a museum in the home. 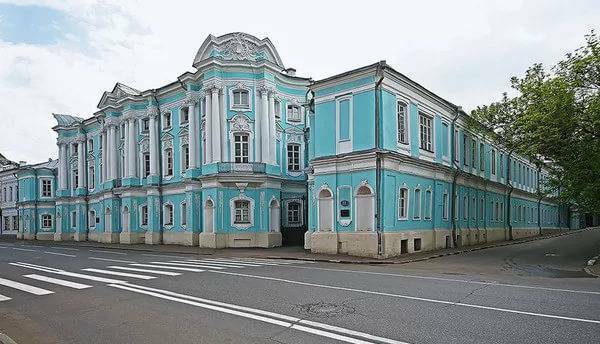 LyubimovkaRussian: Любимовка, a country estate in the village of TarasovkaRussian: Тарасовка (Pushkinsky DistrictRussian: Pushkinskiy rayon or Пушкинский район of Moscow OblastRussian: Moskovskaya oblast or Московская область), is a distinctive landmark associated with the name of Konstantin Stanivslavski. 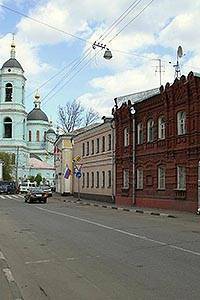 This historical monument of regional importance is located 30 km from Moscow. Lyubimovka was the countryside residence of the Alekseiev family. 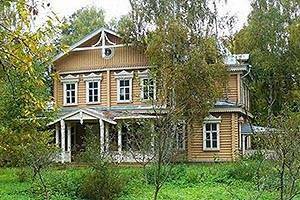 This vast and beautiful three-storey house on the banks of the KlyazmaRussian: Клязьма River surrounded by over 120 acres of family-owned land was a great vacation spot for numerous relatives and guests of the Alekseievs. 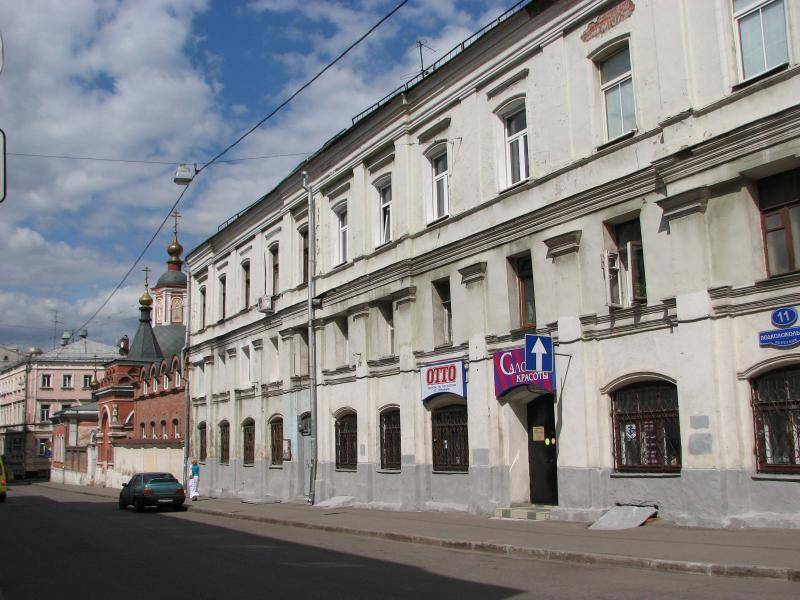 Young Konstatin, his brothers and sisters used to come here every summer and actors from the Alekseiev’s Group also often rehearsed here. 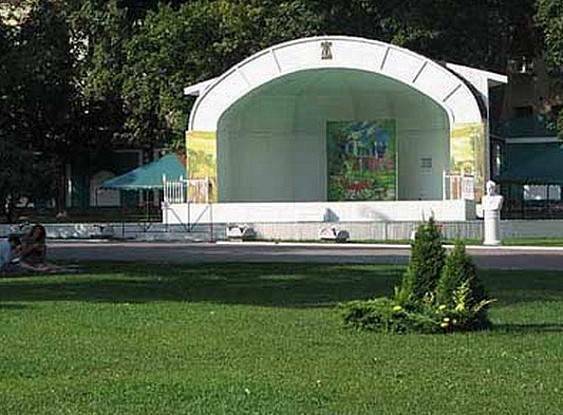 A great many plays were staged in Lyubimovka, too. In 1889, Konstatin Stanislavski married Maria Lilina in the Church of the Intercession of the Most Holy Mother of GodRussian: Tserkov Pokrova Presvyatoy Bogoroditsy or Церковь Покрова Пресвятой Богородицы, located on the premises of the estate. In the summer of 1902, renowned Russian playwright Anton Chekhov and his wife went on holiday to Lyubimovka at the invitation of Stanislavski who was going abroad with his family. The sumptuous manor house built in the classical style at the turn of the 18th century stood in a vast and well-kept yard, in the midst of gardens and poplar-lined alleys, and a stone staircase led from the house down to the river. A small solid pier and comfortable bathhouses, were on the bank of the river. In addition to the manor house and the 19th-century church, this country estate comprised a theatre and a promenade pavilion, gazebos, numerous outbuildings and annexes. After its nationalization, the country estate was used as a holiday home, an orphanage, a military hospital, a dormitory and more. 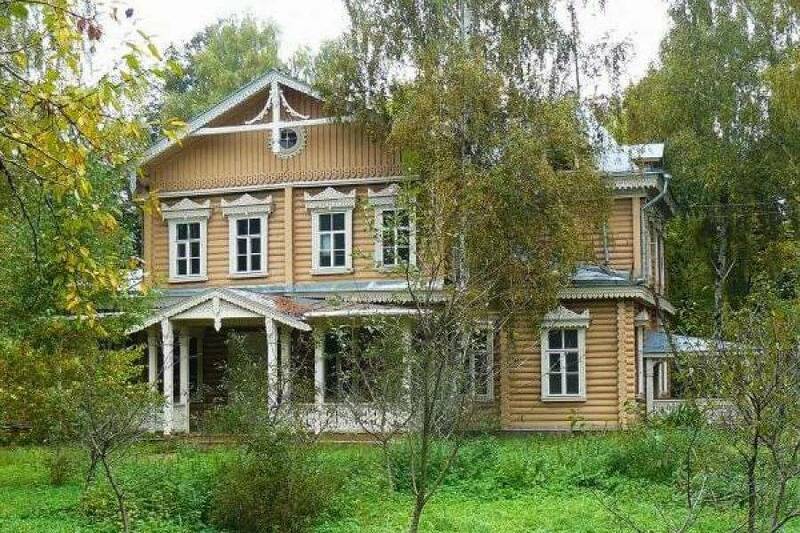 Over time, it gradually fell into ruin, and the famous cherry orchard that once inspired Anton Chekhov was logged and devastated. 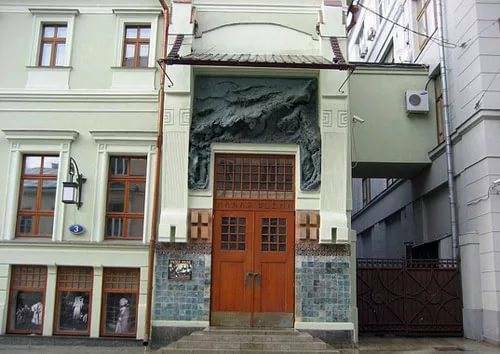 Since 2004, reconstruction work has been under way here under the aegis of the Union of Theatre Workers of the Russian FederationRussian: Soyuz teatralnyih deyateley Rossii or Союз театральных деятелей России. The political upheavals and social transformations in the early 20th century had a negative impact on Stanislavski’s well-being and worldview. He never supported any radical revolutionary ideas, and nationalization deprived him of his huge fortune. However, life went on, and in 1919 Stanislavski was very much involved in the organization of the Opera Studio under the auspices of the Bolshoi TheatreRussian: Bolshoy teatr or Большой театр, which was later renamed after himself. In 1924, the Opera Studio gained public status and merged with the Music Studio of V. I. Nemirovich-Danchenko Moscow Art TheatreRussian: Muzyikalnaya studiya Moskovskogo hudozhestvennogo teatra V. I. Nemirovicha-Danchenko or Музыкальная студия Московского художественного театра В. И. Немировича-Данченко in 1941, after the death of Stanislavski, officially becoming the Stanislavski and Nemirovich-Danchenko Moscow Academic Music TheatreRussian: Moskovskiy akademicheskiy Muzyikalnyi teatr imeni K. S. Stanislavskogo i V. I. Nemirovicha-Danchenko or Московский академический Музыкальный театр имени К. С. Станиславского и В. И. Немировича-Данченко. 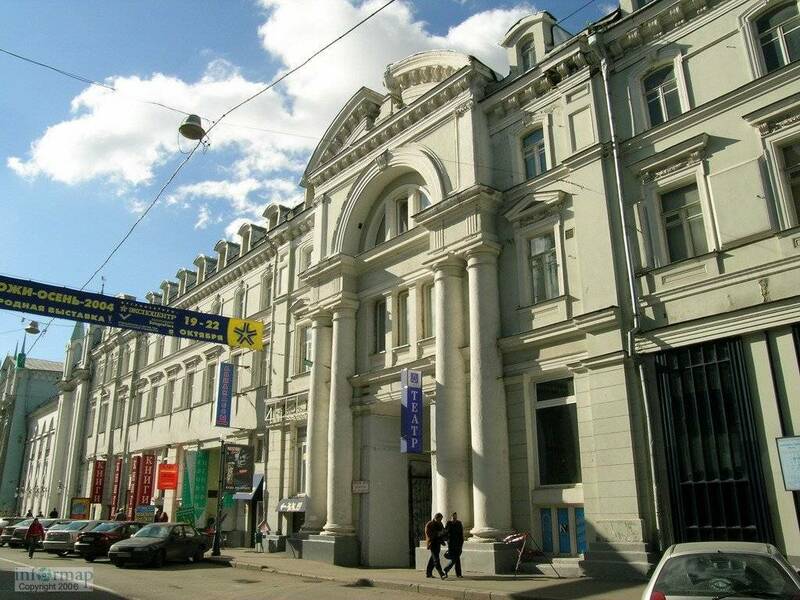 This opera and ballet theatre, founded thanks to the efforts and talents of two outstanding cultural figures in what were turbulent times in the early 20th century, is located at 17, Bolshaya DmitrovkaRussian: Большая Дмитровка Street, in the building of a former merchant club. In 1948, the theatre company was divided so that each part could specialise. 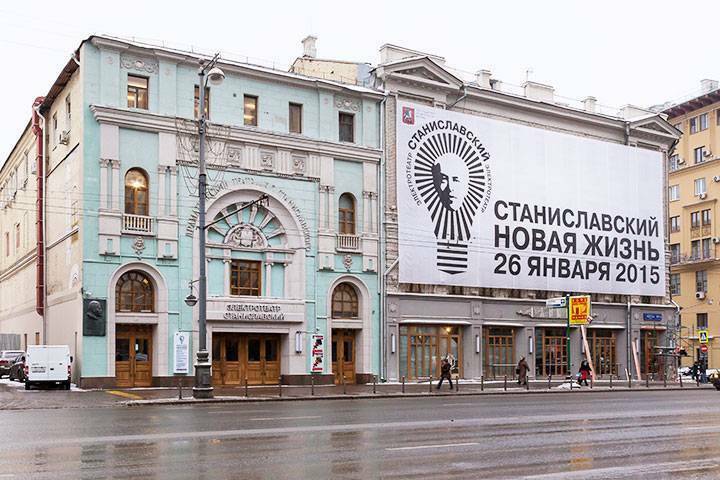 This occurred in the building of the former Ars CinemaRussian: kinoteatr «Ars» or кинотеатр «Арс» at 23, TverskayaRussian: Тверская Street, and the new team was named the Stanislavski Moscow Drama TheatreRussian: Moskovskiy dramaticheskiy teatr imeni K. S. Stanislavskogo or Московский драматический театр имени К. С. Станиславского. Stanislavski’s followers – the actor, director and educator Mikhail Kedrov and the actor and educator Mikhail Yashin, who were Stanislavski’s best students — kept the traditions of their renowned teacher alive. Since the 1950s, this theatre has boasted a unique team of actors, true to its traditions of teaching and learning. 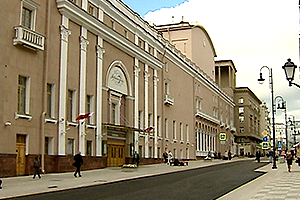 The theatre has been known as Electrotheatre StanislavskiRussian: Elektroteatr Stanislavskiy or Электротеатр Станиславский since 2013. How interesting and useful was this article for you?